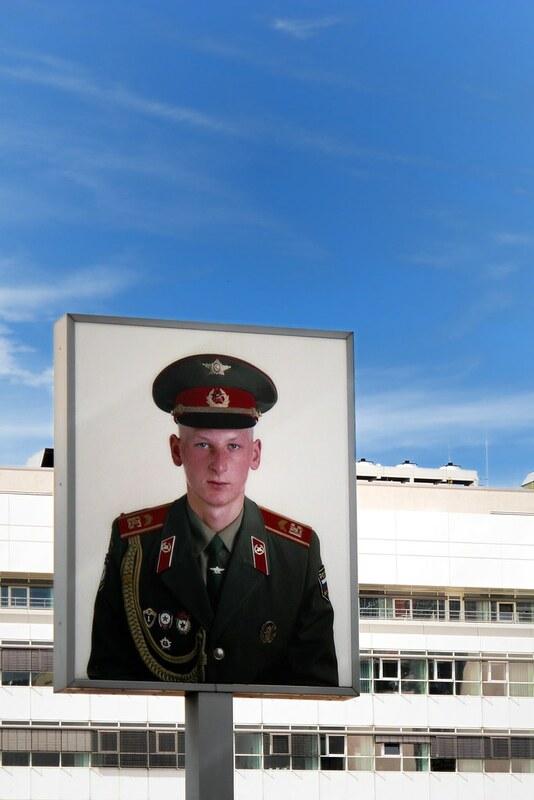 This image of an East German border guard stands beside the spot where Checkpoint Charlie used to stand in Berlin. The checkpoint was the crossing between the American and Soviet sectors of the divided city. Although the Berlin Wall was opened in 1989 and much has changed since then, it is surprising how much of East Berlin still shows signs of its drab Communist past. The young guard's picture goes well with the featureless apartment block behind him: both are anonymous and cold. For me, they serve as eloquent reminders of the dangers of statism.